← Keyaki Hiroba Craft Beer Festival! I painted this little mädchen last week before we went down to the Keyaki Hiroba Beer Festival! She’s actually based on the logo for the Frühlingsfest in Yokohama, another Fest I went to with some friends over Golden Week. The vibe of that one was very different–much more pseudo-German as opposed to the “Craft Beer” spirit at Beer Keyaki. I lived in Austria for a little while, so artificial German things tend to make me itchy. That’s not to say the Frühlingsfest wasn’t fun. The food was delicious (though pretty pricey) and the scenery was hard to beat–the red brick warehouses of Yokohama are quite lovely. Still, the beer was much better at Beer Keyaki. I’m still dreaming of Johana Beer’s magical Earl Grey Beer! Anyway, I did love Frühlingsfest’s logo, obviously. So what should I paint next? 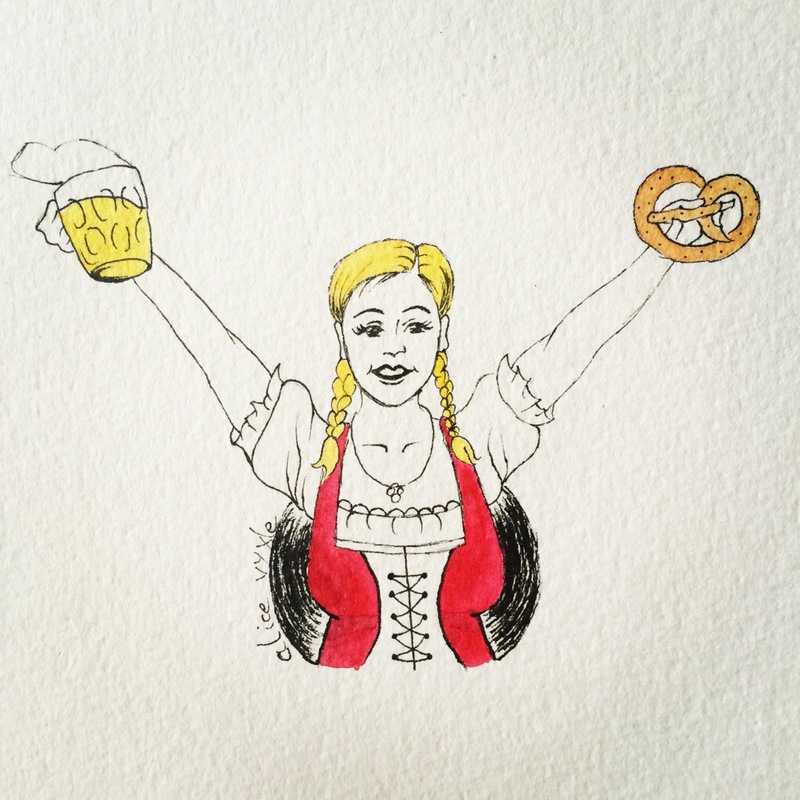 This entry was posted in Art and tagged Art, beer, beer keyaki, brezel, craft beer, german, german beer, I painted this, illustration, Japan, keyaki, my art, painting, pretzle, saitama, watercolor, yokohama. Bookmark the permalink.